With less than four weeks to go until the presidential election, our campuses are full of activity including voter registration drives, lectures and panels. As most of today’s college students are voting for the very first time, it is vitally important that they understand the issues at stake and how they, as “Millennials," can make an impact on the election. 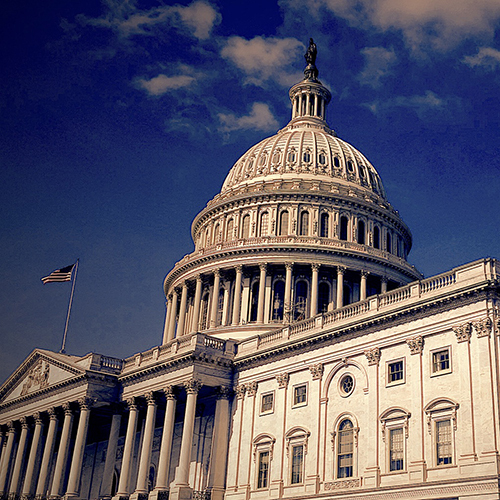 The nineteenth AJCU Federal Relations Conference was held at the U.S. Capitol on September 22nd. 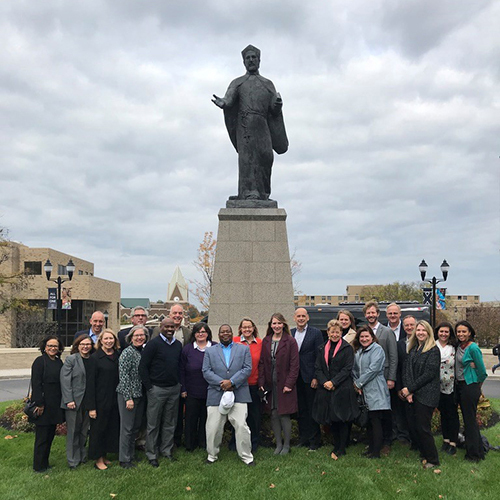 We had an excellent turnout of 34 government relations and financial aid administrators from Jesuit colleges and universities. Read on for more. On September 13th, Georgetown University sought to examine some of the major forces at play during this election season in the panel discussion, “Faith, Anger, and Trust in Campaign 2016,” which was co-hosted by the Georgetown Initiative on Catholic Social Thought and Public Life and the Institute of Politics and Public Service at Georgetown University. Situated just miles from downtown Cleveland, Ohio, John Carroll University is in the epicenter of electoral nirvana every four years. Presidential candidates, their vice presidential running mates, and campaign surrogates make it a habit to visit Northeast Ohio. But this year is different: Cleveland was on the world stage as the host city for the Republican National Convention (RNC). Our students, who are typically engaged in politics, wanted to be involved in this historical event. As part of its mission, Marquette University Law School seeks to serve as a modern-day public square, a place where important issues can be debated seriously and with civility. Marquette’s broader mission as a Catholic and Jesuit university compels the Marquette Law School Poll and Franklin to go beyond questions of which candidate is ahead and why. This year, Santa Clara University (SCU) students won’t have to step foot off campus for opportunities to attend more than a half-dozen lectures on key issues, find gathering spots to discuss the parties, candidates and platforms, watch and discuss debates, and even cast their vote on Election Day. Earlier this fall, the Ignatian Solidarity Network rolled out the Ignatian Examen for Civic Life, a nonpartisan prayer and reflection tool. Like many elements of our Jesuit heritage, the process of engaging in the election should start with reflection.